OXFORD — Former Beech Ridge Motor Speedway champion and 2017 Oxford 250 winner Curtis Gerry picked up right where he left off last fall, winning the Honey Badger Bar & Grill 150 for Pro All Stars Series (PASS) North Super Late Models on Sunday afternoon at Oxford Plains Speedway. Gerry, of Waterboro, drove underneath Farmington native Cassius Clark coming off Turn 4 and took the lead with only four laps remaining. Clark settled for second after starting fifth and leading 115 laps, while two-time and defending PASS North champion Travis Benjamin crossed the stripe in third. Former PASS North champion DJ Shaw, of Center Conway, New Hampshire, finished fourth, while longtime Oxford veteran Tracy Gordon of Strong completed the top five. Clark’s Rollie MacDonald-owned King Racing entry was fastest during practice sessions both Saturday and Sunday. For much of Sunday’s 150, it was the ‘Farmington Flyer II’ setting a blistering pace up front. Benjamin, of Morrill, led on two occasions for a total of seven laps after starting from the pole. The two-time Oxford 250 winner was happy to begin his title defense with a solid podium finish. Finishing sixth through 10th in Sunday’s Honey Badger 150 were Joey Polewarczyk Jr., Scarborough’s Garrett Hall, Scott McDaniel, of Livermore, PASS point leader Derek Griffith, and Winthrop’s Jeff White. With one brief caution to slow the pace at lap three, only five of the 33 starters finished on the lead lap. Gerry’s margin of victory was a scant .841 seconds, while the race took only 43 minutes to complete. Other notable finishers include 2015 Oxford 250 winner Glen Luce (11th); two-time Beech Ridge champion and defending race winner Reid Lanpher (14th); Jay veteran Dave Farrington Jr. (15th); Westbrook native John Peters (16th); and former PASS champion Ben Rowe, of Turner (22nd). Benjamin, Nick Sweet and Gerry won the qualifying heats. In earlier feature action, New Gloucester native Ben Tinker picked up the victory in PASS Modifieds, while Livermore’s Tyler King dominated a 40-lap tilt for Street Stocks. Oxford’s Championship Series teams will return to action on Sunday, May 6. 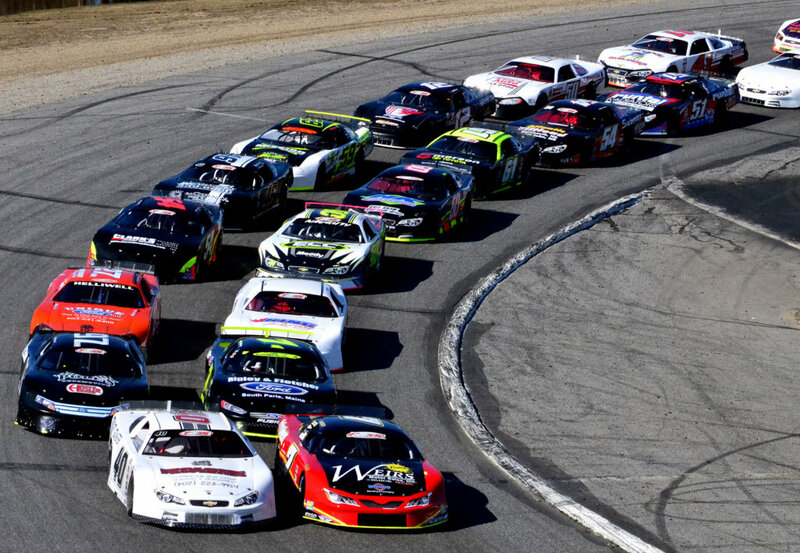 The PASS North Series will compete in a 300-lap contest next Saturday at the Beech Ridge Motor Speedway in Scarborough.